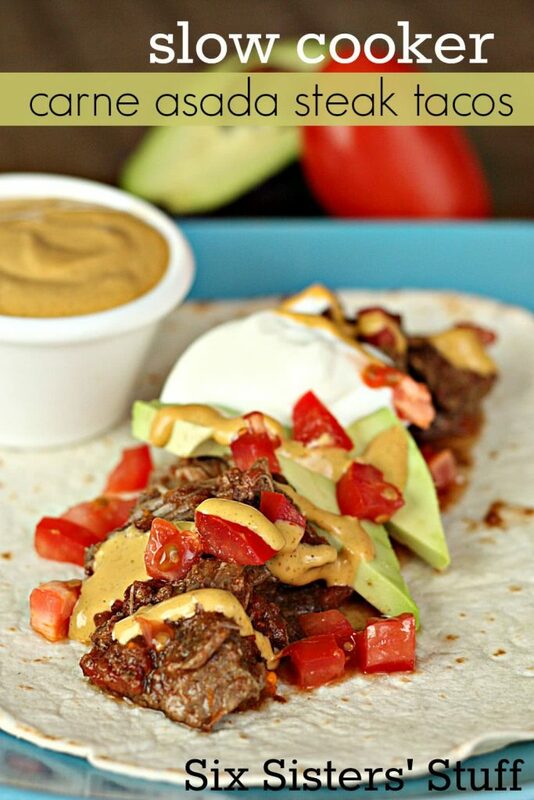 These Slow Cooker Carne Asada Steak Tacos are so full of flavor and so easy to make! Place sliced steak in the bottom. Pour salsa, diced tomatoes, cumin, and chili powder on top. Stir, until all seasonings are thoroughly mixed in. Cook on low for 6-8 hours or high for 3-4 hours. Thank-you so much for an amazing weekend! I learned so much and made some wonderful blogging friends. I can't wait to do it again next year. 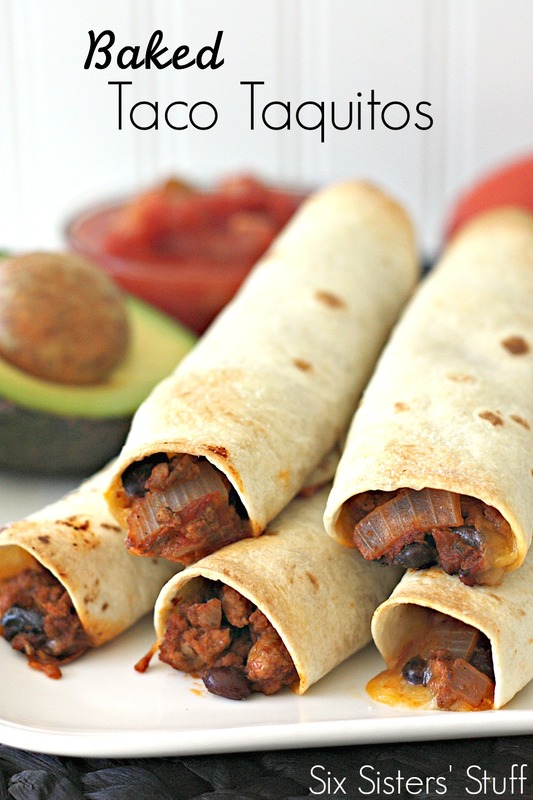 You deserve that long nap......and I love easy crock pot meals! Use the "My Recipe Magic" button below the picture to get the nutrition information! Very good, will def. make again. Aioil is spicy. I'm glad you enjoyed my slow cooker carne asada! It's one of our favorite meals. Next time I make it, I will definitely try your aioli sauce. It looks like a wonderful addition! This was so good, especially the sauce! It's definitely going into my recipe box. I didn't think the aioli was too spicy at all. My 3 year old ate it. The only change I made was using stew meat instead of flank steak. The leftover meat was great in breakfast burritos the next morning! Thank you for sharing this delicious recipe ! I have an old Rival Crockpot that has an earthenware insert and it took 6 1/2 hours on high to cook this. Absolutely delicious ! 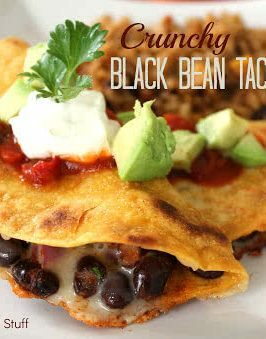 Makes great Quesadillas next day and all you have to do is add shredded cheese - makes for a quick easy lunch ! This tasted great! But mine didn't look anything like the picture. The meat looked grey due to basically boiling in the juice from the salsa and diced tomatoes. Did you drain the tomatoes? How did you get yours nice and brown? It was really delicious and tender! That picture can not be from something cooked in a crock pot, you can obviously see it is either roasted or put under a broiler. I have been making many things in a crock pot, that coloring is not from a crockpot. The meat is definitely cooked in a crock pot. We use a slotted spoon when we dish it out. Hope this helps and have a great day!! I'm thinking about making this for a 5-family cabin outing this weekend. What cut of beef would you recommend for a larger group that is also easy on the pocket book? I can't wait to try this! It sounds sooooo good! Thanks so much Colleen! You made our day!! I have been reading your blog and using your recipes for close to a year now...thank you so much! 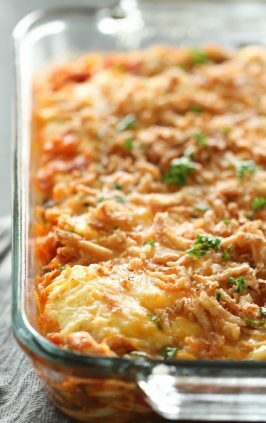 I love all of the slow cooker meals and the easy (delicious) desserts. 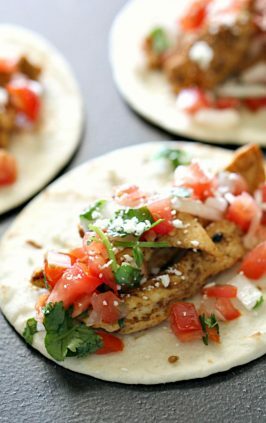 I tried this recipe last week and it was a winner; my husband and 3 kids (ages 8, 6, and 3) loved it. The meat was really good but I think the sauce made it extra delicious. I made this tonight, amazing!!! 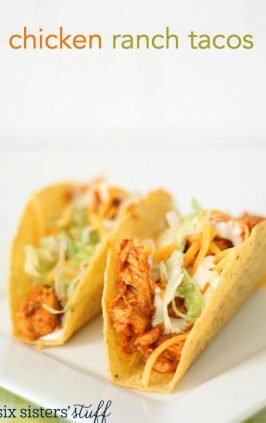 Instead of using the cumin/chili powder I used half a taco packet, delicious! The sauce is to die for, lime juice gives it the perfect balance. Next time I may add some bell peppers for the last hour or so to make it more veggie filled! Yumola! I am making this right now!!! And a vegetarian option for me! I made this for dinner tonight. It was a BIG hit, even with my picky eaters! Thank you so much for sharing this recipe! This was AMAZING period. followed the directions almost exact except roughly doubled everything the sauce was SOO good with it and avocado and tomato was a perfect fresh add! Just curious when it says "1 cup of salsa", is there a specifc kind that we should use? Also, has anyone added bell peppers & onions into this to make it sort of like fajtas? Any brand of salsa will work great! Just wanted to say thanks for sharing this recipe.I made this last week with some modifications but my family loved it!! I didn't use flank steak, I had thinly cut beef (bulgogi choice cut) and I baked the meat because I didn't have enough time to use the slow cooker. After reading a few comments, I decided against making the chipotle aioli, my kids are picky when it comes to sauces and I just used sour cream and the rest of the salsa. I added black beans and corn to the tacos as well. The meat came out tender and full of flavor. The tacos were filling yet light. There was enough for everyone to have seconds so next time I will just have to make a larger batch! Hi Leisa! The calorie count for this is way off. We will let our tech team know so that is can be adjusted. Thanks so much!! I was wondering how well this freezes? I'm going to Lake Powell and have to make dinner for everyone one of the nights. So I'll have to cook it prior and then freeze. I would think it would work??? You can totally cook the meat mixture and these freeze it until ready to serve. Just thaw and reheat. Any salsa will work from the grocery store. 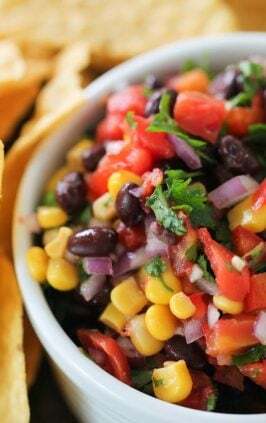 We have used fresh salsa, Pace salsa, or even store brand. So if you have a favorite salsa, it will work great! Made this yesterday and it was delicious!! I will definitely be making this again and again. I wonder how it would work I'd the London broil was left intact for cookung, then shredded. Thoughts? That should work great too! I used a thinly sliced London broil since it was on sale. It cooked in 5 hours on low and I used a slotted spoon to serve as there was a lot of liquid. The chipolte mayo was very good . Served with all the usual toppings and hot sauce for those who needed it. Good reviews from the family, will definitely make again! Thanks! Have you ever doubled this recipe? My guys are big eaters and I don't think 6 servings would be enough! This is the second time I have asked this because I did not receive a response the first time. What has happened to your PIN button? I can't seem to pin anything without copying URL. I would appreciate a response. Thank you. We have been switching to a different server and there are still some bugs we are working out. Thanks for your patience. Have a great week. Hello, If i wanted to make this for a freezer dump meal, should I cook the meat first, or put everything into a bag raw to cook later? Will the aioli freeze well or last a few weeks in the fridge so that is one less step the new mom has to do? Hi Jessica! Congrats on being a new mom!! It's the best job in the world! :) To make this a freezer meal, I would recommend just dumping all the ingredients into a gallon-sized freezer bag (raw meat and all), then stick it in the freezer. When you are ready to use it, remove the bag from the freezer and place in the fridge for 24 hours to allow it to thaw. Then dump it all in the crock pot and cook as directed. :) As far as the aioli, I have not had much luck freezing mayo-based sauces - they tend to get clumpy and weird when you thaw them. I think that you could make it a week or two in advance and keep it in the fridge, but I wouldn't feel good about much longer than that. I hope this helps! I made this for dinner tonight. It is so delicious ! Easy to make and doesn't need any changes! My husband and I are happy that there are enough leftovers for another night! This will be a keeper! Thank you for a great recipe. I absolutely detest cilantro. Is it essential to the flavour/texture of the aioli or can it be omitted, or even replaced with something else, if need be? I made this for my family when we were living in Scotland and desperate for some American flavor! It is SO so so yummy! I especially loved the addition of the aioli--a new thing for us. Thanks for giving us a taste of home we've since brought back home with us!